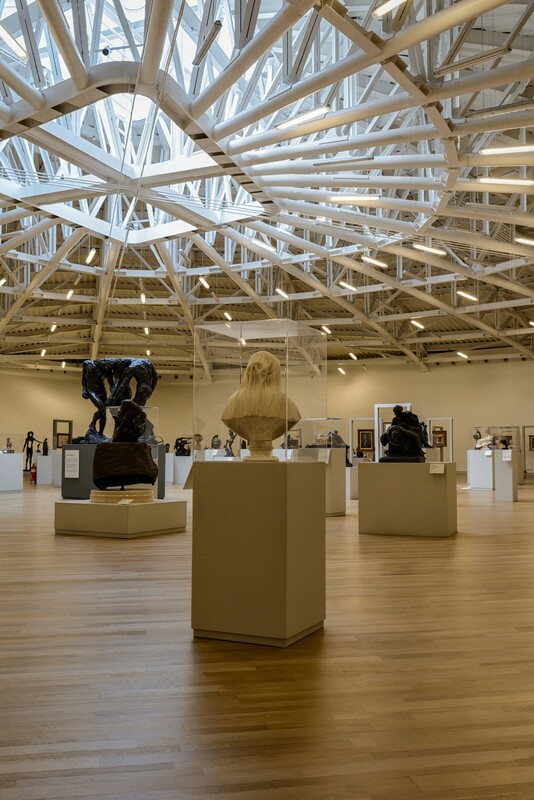 The Museo Soumaya is a private museum in the Nuevo Polanco area of Mexico City. Admission to the museum is free. 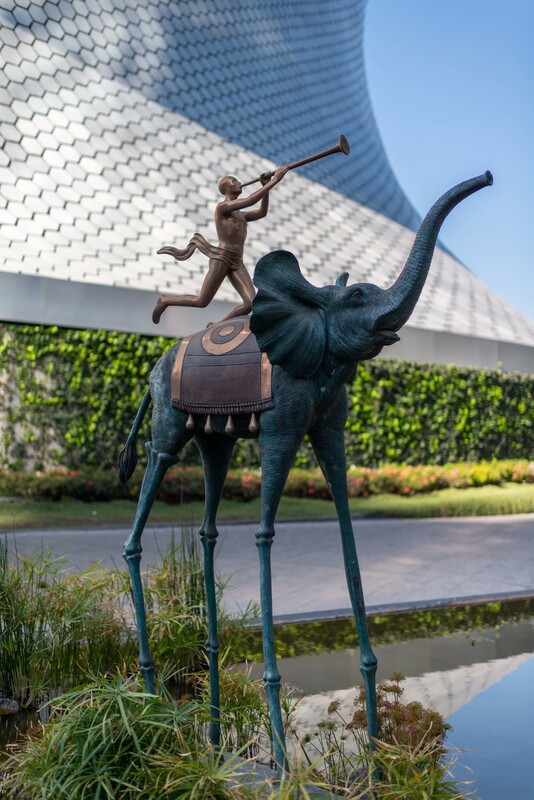 It is owned by the Carlos Slim Foundation and contains the extensive art, religious relics, historical documents, and coin collection of Carlos Slim and his late wife Soumaya, after whom the museum was named. 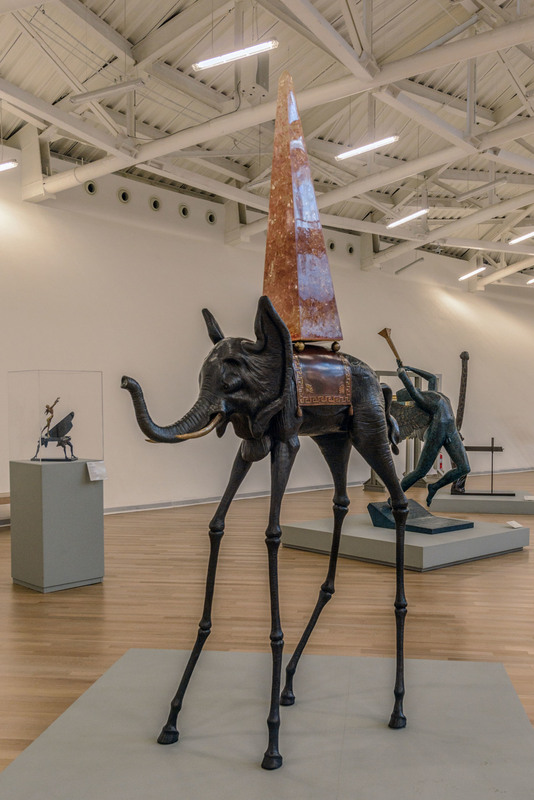 The museum holds works by many of the best known European artists from the 15th to the 20th century. 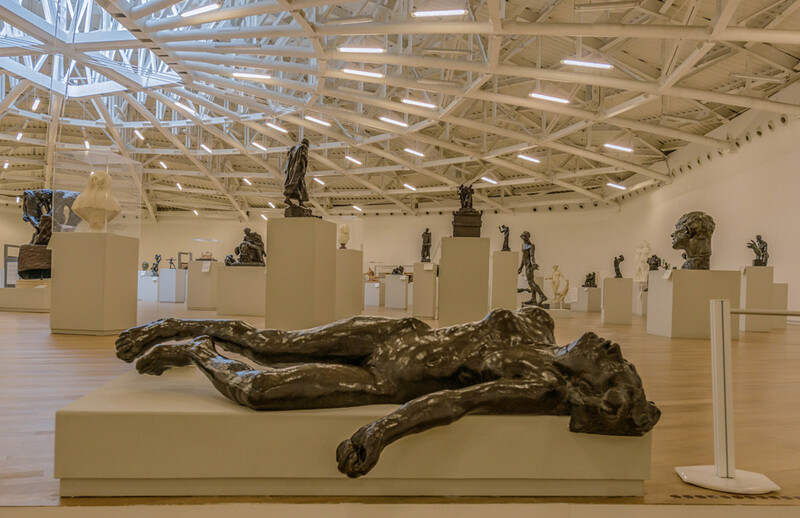 It contains a large collection of casts of sculptures by Auguste Rodin. The museum was founded in 1994. In 2011 it opened a new location which cost over $70 million to build. 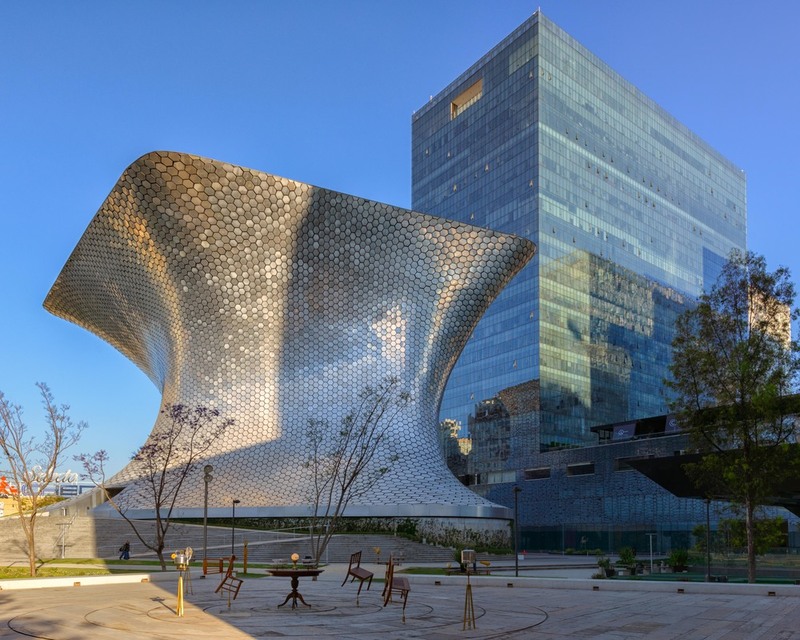 The new building, a shiny silver cloud-like structure reminiscent of a Rodin sculpture, was designed by the Mexican architect Fernando Romero, who is married to a daughter of Carlos Slim, and engineered with Ove Arup and Frank Gehry. 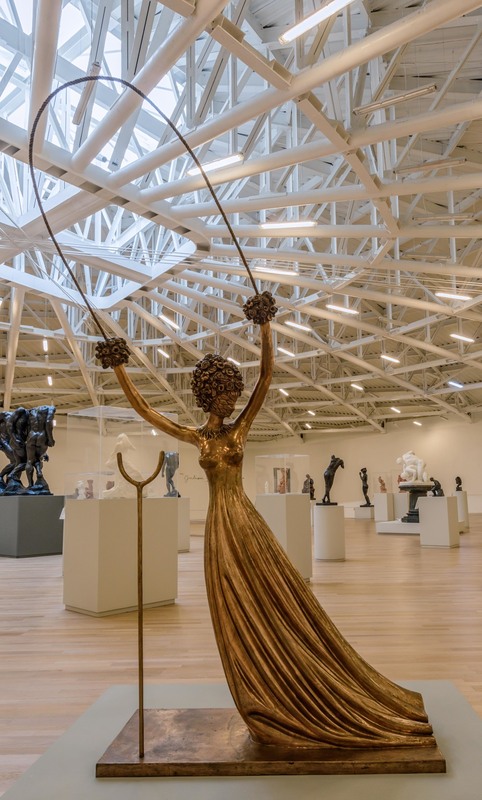 The Museo Soumaya was originally located at the site of an old paper factory, in the Plaza Loreto of San Ángel, in the southern part of Mexico City. The building featured four distinct rooms each of which had a specific theme. 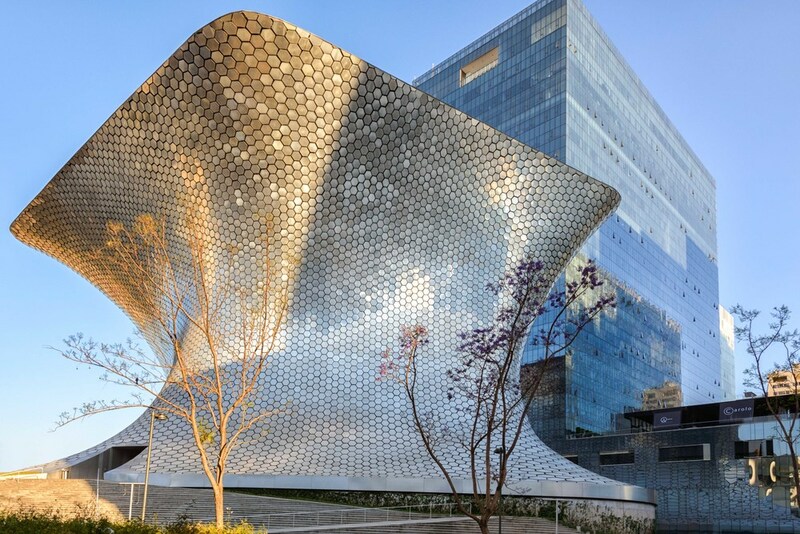 In 2011 the main collection moved to a new 16,000-square-metre (170,000 sq ft) building, constructed in the northern part of Mexico City. 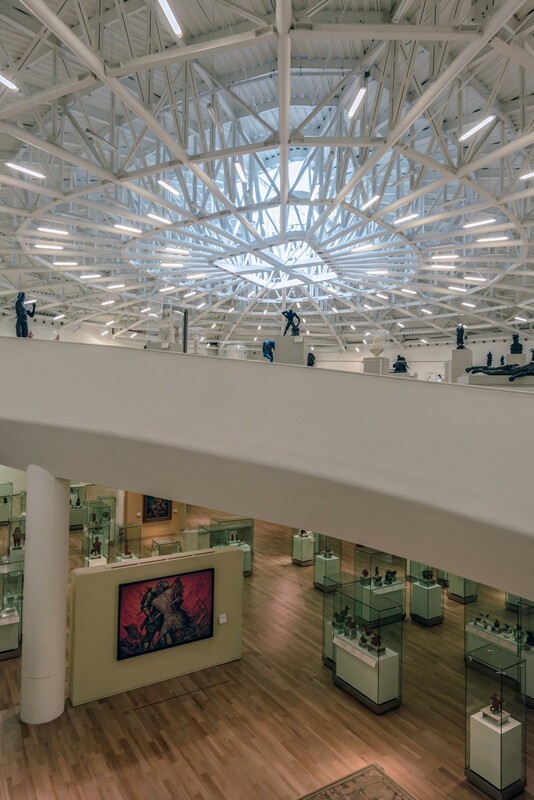 View to the Soumaya Museum from the Jumex Museum. 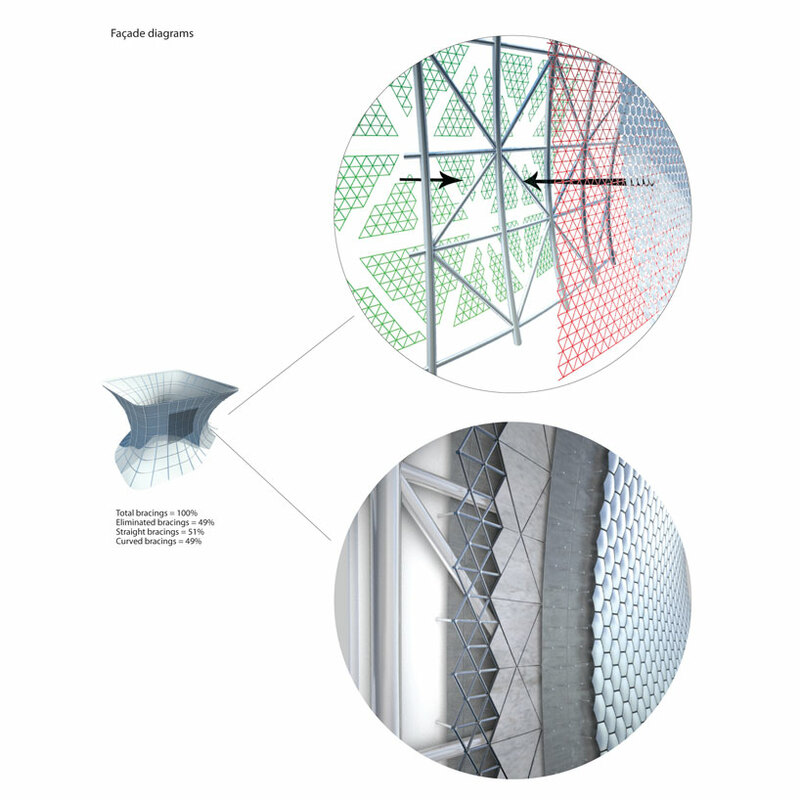 The building is a 46-metre (151 ft) high six story building that is covered by 16,000 hexagonal aluminum tiles. Architectural detail of the building. 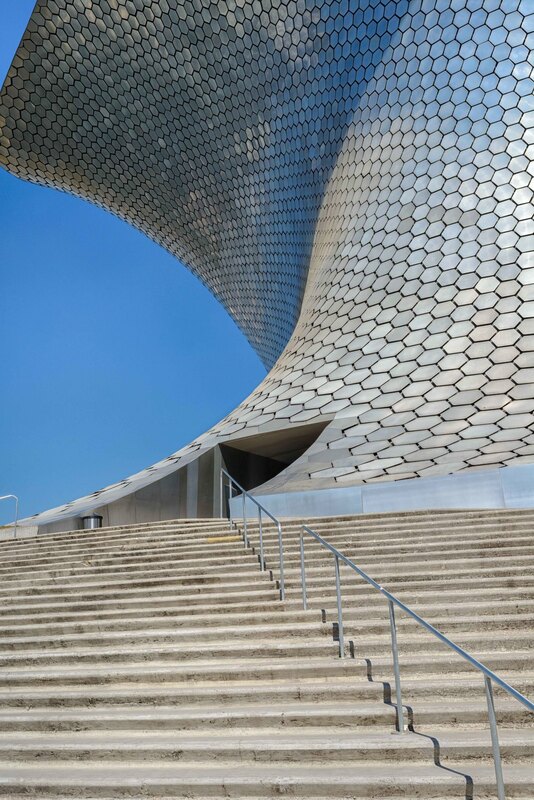 Entrance to the Soumaya Museum. The Thinker, Auguste Rodin 1903. 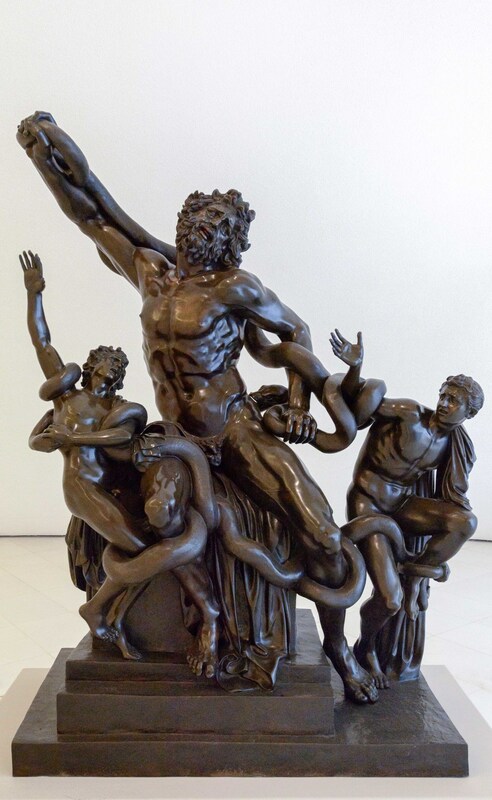 Laocoon and his Sons, Miguel Angel Buonarroti. Foyer of the museum with the staircase to the exhibition. 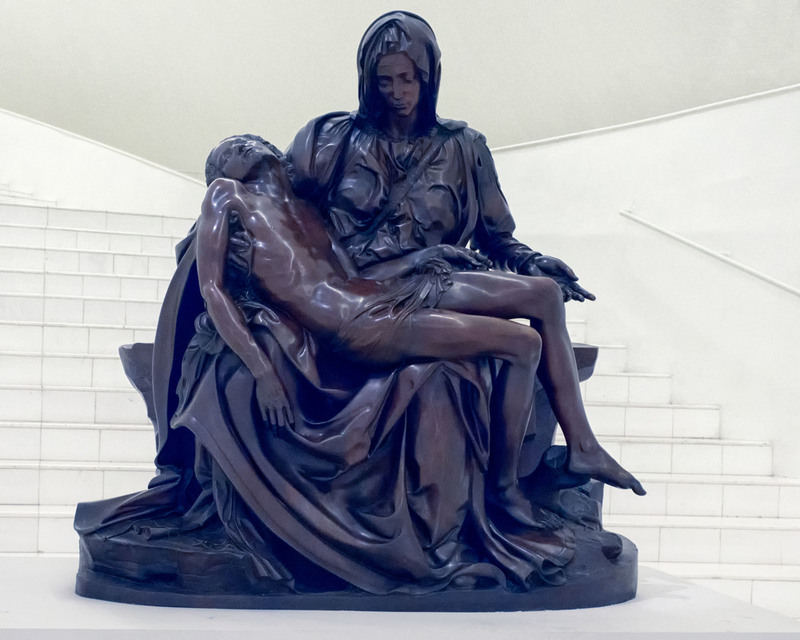 Pieta, Miguel Angel Buonarroti (1475-1564). The floor with the Asian exhibitions. 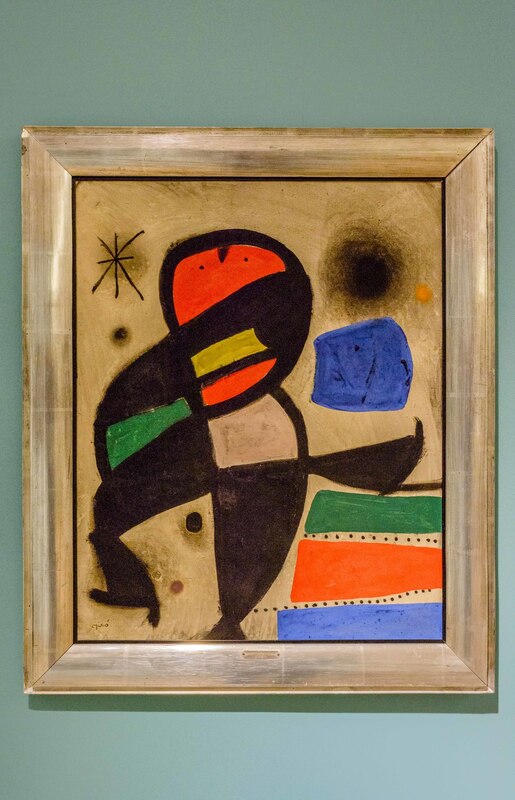 Personage in the Night, Joan Miro 1960. The Land, like the Water and the Industry, Belong to Us, David Alfaro Siqueiros 1959. Breakfast on the grass, Pierre de Belay 1939. Circulation way between the floors. Ramp to Floor 6 of "Area of Rodin". View over the Top Floor. The highest floor with the sculptures. The Three Shades, Auguste Rodin 1880. Space Elephant, Salvador Dali 1980. 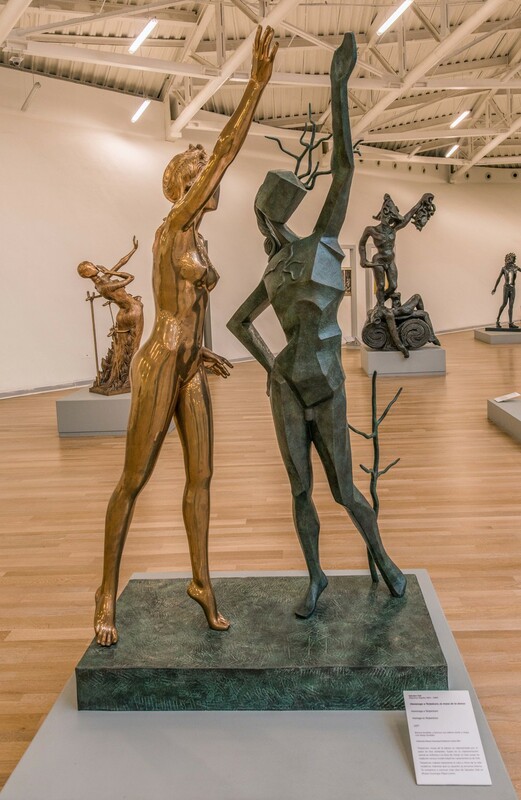 Homage to Terpsichore, Salvador Dali 1977. Alice in Wonderland, Salvador Dali 1977. Perseus. 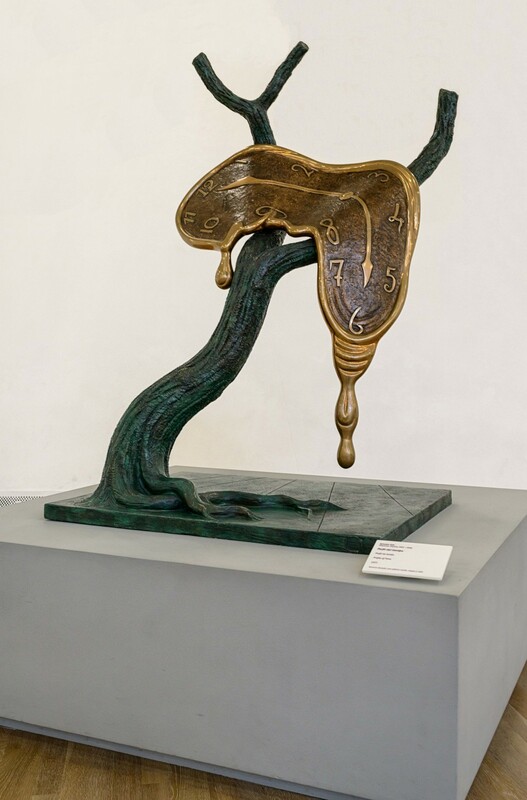 Homage to Benvenuto Cellini, Salvador Dali 1976. Surrealist Newton, Salvador Dali 1977. 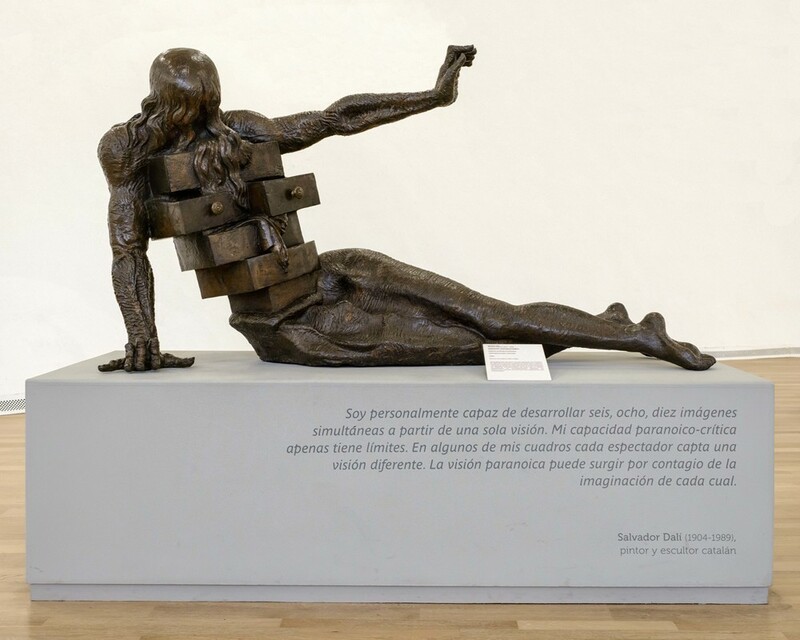 Anthropomorphic Chamber, Salvador Dali 1982. Giraffe Woman, Salvador Dali 1973. 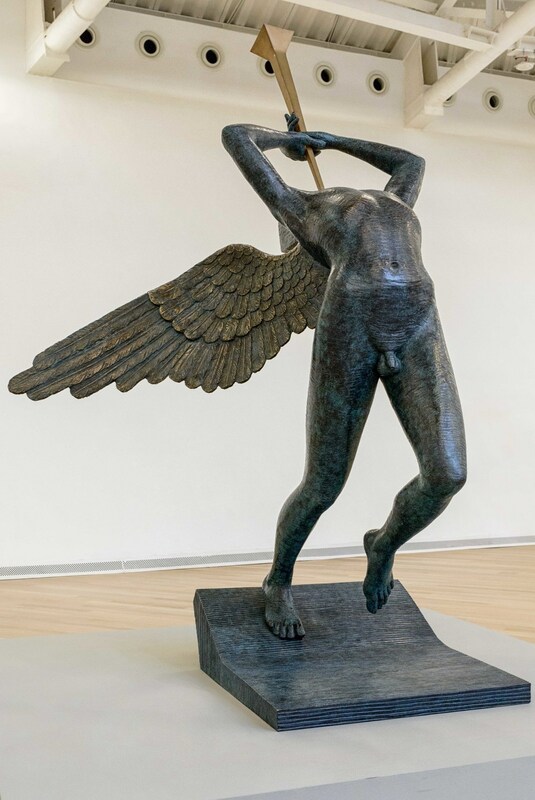 Triumphant Angel, Salvador Dali 1976. Profile of Time, Salvador Dali 1977. Horse sattled with Time, 1980, Salvador Dali. Lady Godiva with Butterflies, 1976, Salvador Dali. Woman Aflame, 1980, Salvador Dali. Christ of Saint John of the Cross, 1974, Salvador Dali. 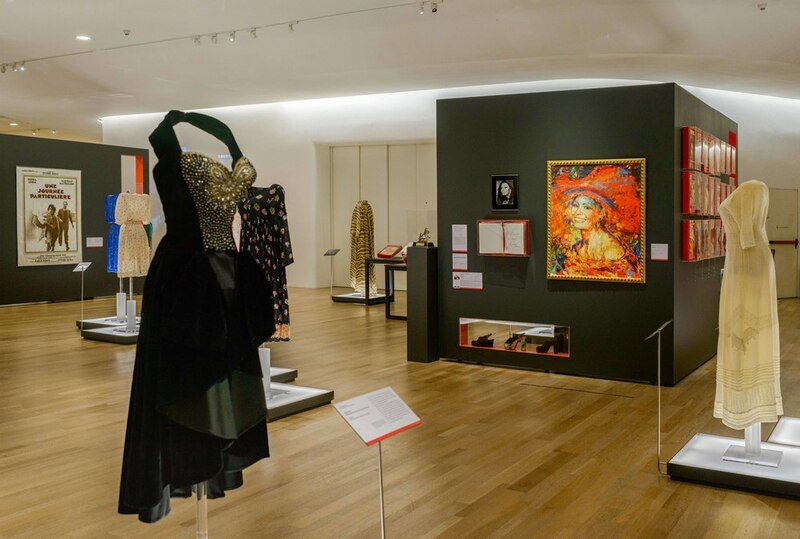 Temporary exhibition Sophia Loren, Soumaya Museum, Mexico City.